Summer is here and with it, the good weather and the urge to enjoy ourselves outdoors, going to the beach, relaxing on the parks and of course, having a meal under the sun with friends or an intimate dinner under the moonlight with our pair. Spain enjoys enviable temperatures during the summer, but sometimes the heat can become unbearable. At such times, the terraces become our best friends. There are lots of nice terraces in Barcelona, but for the last few weeks I have seen lots of tourists sitting in the worst ones, those in the city center, avoided by us locals who know you will end up paying 5€ for a small beer. Thinking of this I have created a top- 3 list of the best terraces, in my opinion, of the city. 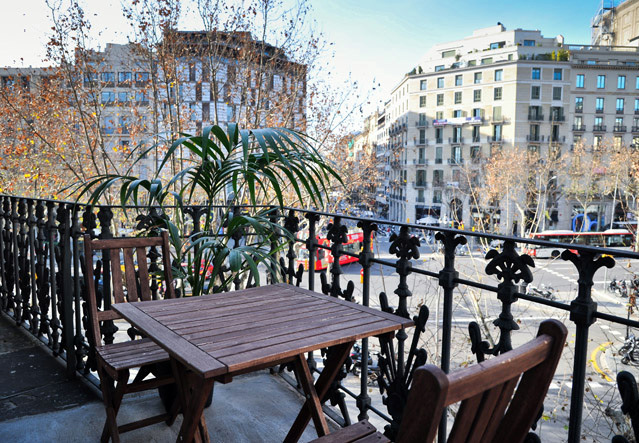 So, if you are planning to visit Barcelona, stay away from the center, forget about the terraces in La Rambla and Passeig de Gracia and discover the most authentic neighborhoods of Barcelona and its charming terraces. Gràcia neighborhood, an independent village until 1897, is one of the most charismatic of Barcelona. Gràcia has that special blend of tradition and bohemian atmosphere along with a modern touch, making it one of the main entertainment venues of the city. 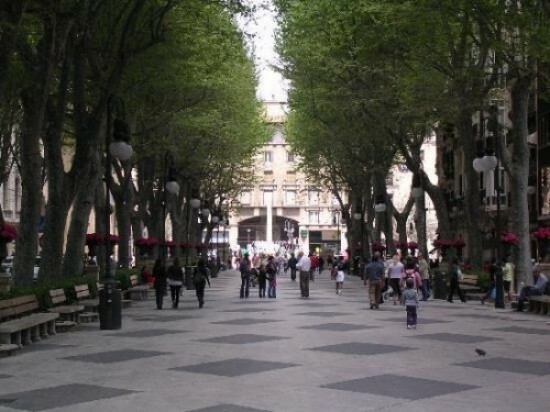 Gràcia is especially popular for its squares, lined with bars and terraces, benches and playgrounds. Among the most popular you can find Plaça de la Virreina, Plaça del Sol and Plaça de la Vila de Gràcia, all of them always very busy. But if you want a quieter place with a more local atmosphere, visit the Plaça Rovira i Trias. There you will find Café Flanders, a nice bar where you can enjoy a Belgian beer and some tapas on their quiet terrace. In addition, prices in this square are lower than those in the most popular ones! As a curiosity, one of the benches in the square has a bronze statue of Mr. Rovira i Trias, one of Cerdà’s competitors in the tender for designing Barcelona’s Eixample; his plans, based on concentric developments around the old town, lie discarded at his feet. The Poble Sec is a humble yet privileged neighborhood in the city for its physical location and also for the cultural mix on the streets. Starting on Avinguda Paral·lel, there’s Carrer Blai, a pedestrian street full of bars with terraces. Among them, you will find the typical tapas bars mixed with Basque taverns, Canarian restaurants, and even Turks. My personal favorite is the tavern Blai Tonight, where the hits are the “pintxos” or “montaditos” (the basque tapas), for just 1€ each! Unbelievably cheap! Order a beer, choose your favorite “montaditos” from the bar and relax on the terrace! La Ribera neighborhood, better known as El Born, is like a small village within the city: old streets with a modern touch, where you can find from violin craftsmen or artisan shops to the latest fashion designers boutiques. Next to the spectacular Palau de la Música, in the narrow street Verdaguer i Callís 12, there’s a cultural center called Antic Teatre, a resource center for multidisciplinary arts dedicated to the research of new performance languages. Apart from having an innovative cultural program, the Antic Teatre has a bar with a spectacular “patio”. On it, you will feel like in your grandmother’s backyard. An authentic oasis in the middle of the city. 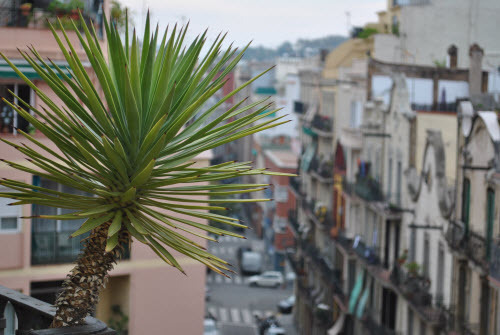 As you can see there’s a hidden world of charming terraces in Barcelona, so on your next visit to Barcelona feel free to discover the best ones! How about you? Have you ever been to any of these neighborhoods in Barcelona? Definitely going to bring my dad to these places because he likes people watching when we travel. Awesome pictures!